After the introduction of a new organising team for the airshow at Cosford, there was genuine excitement for many with promises of a Jaguar GR3 taxy run, VC-10 flypasts, a Jaguar 'flightline' in the static display and Cosford's longest ever flying display, with the focus on the centenary of the Central Flying School. Peter Reoch reports for UKAR to see if Cosford lived up to the pre-show hype. Photography by the author and Chris Hayball. For many years Cosford has been something of a bête noire to the enthusiast. An unashamedly "family" airshow, which rarely seemed to secure that star participant to elevate it above the ordinary. In more recent times, things have improved, with participation from the militaries of Belgium, France and the Netherlands but still the old complaint remained, that too often the display lacked that missing spark when compared to other shows. However, the 2012 show was overseen by a fresh organising team with new ideas, some of which came from UKARians via our forums, and this year's show broke the trend - big time. On the ground, minor but noticeable changes were made to the utilisation of the limited space available. The runway size and airfield infrastructure mean opportunities for visiting static aircraft are restricted to smaller types and rotary assets. 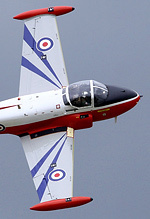 This years CFS100 theme was highlighted with a Chipmunk, Bulldog, Firefly, Jet Provost and Squirrel, joining one of the Tutor T1 aircraft that are based at Cosford. Sadly the Tiger Moth that was due to arrive on Saturday to join this line-up couldn't make it due to the weather. The Defence College of Aeronautical Engineers has a vast collection of retired military aircraft based at Cosford for training, and an increased number of those were seen on display in and around the hangars at Cosford. 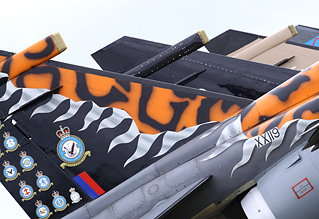 An 'operational flightline' style display was promised in the run up to the show, with Jaguar airframes loaded with weapons, and various ground handling equipment around the aircraft to give the static display something 'special'. Sadly the full extent of this was not realised but the sight of four Jaguars, which were all in differing paint schemes, together was a welcome one for enthusiasts and the general public alike and hopefully we will see it back and improved upon next year. The number of visiting static aircraft was greatly increased this year and is the biggest in a decade or so - if not ever - for a Cosford show. 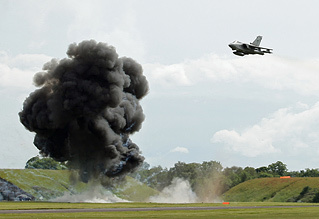 A "dynamic static display" came in the form of a taxy run of Jaguar GR3 before the flying display began. Though it was a simple and slow affair, it was greatly appreciated by the enthusiasts and a number of the general public too. Fingers crossed this will become a feature of future Cosford shows. The flying display booked for Cosford was a full, and very varied one which catered for the interests of a large spectrum of visitors. There were no less than six civilian display teams booked, a number of historic aircraft which included the excellent Great War Display Team, commemorating a centrury since the formation of the Royal Flying Corps and Peter Teichman's P-40 Kittyhawk standing in at the last minute due to the unavailability of his P-51 Mustang. Much of the display focused on the 100 years of the Central Flying School theme, with a two-ship of Jet Provosts, the Gnat pair plus the Meteor T7 and Vampire T55 from the nearby Classic Aircraft Trust. Foreign military participation in the flying display was limited to an Agusta A109 from the Belgian Air Component in its new colour scheme for 2012. 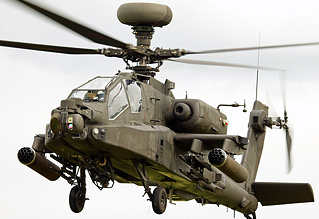 Another welcomed rotary winged display came with the debut of this year's display from the Army Air Corps Apache AH Mk 1, making one of only 5 appearances this year. RAF participation was strong, with only the Hawk T1 solo display missing due to it's airshow commitments in Norway. 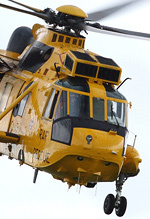 A Sea King HAR3 from RAF Valley made a welcome appearance after many years absence from airshows but the highlight for many visitors were two flypasts from a VC-10. Cosford's organising team should be highly commended for securing its participation, in its swansong year on the airshow season before the type's expected retirement from RAF service in 2013. The Red Arrows returned to display flying in their new 7-ship formation, with this years routine featuring a emotional dedication pass to the memory of their two colleagues who were tragically killed last year. Though the forecasts in the week leading up to the show were grim, with heavy rain predicted all day on the Sunday - the reality was far from it. A brief 20 minute shower during the RV8ators display was the worst of the day, but the skilled pilots were able to battle on and continue. The only loss to the flying display due to weather was the Royal Navy Historic Flight's Swordfish. The spirits of the crowds weren't dampened by the rain, though the turnout did look less than previous years. No doubt some will claim any drop in attendance was due to the non-appearance of the Vulcan this year. The truth, as you can hear in our podcast, is that Cosford made the decision not to book '558 for financial reasons. The 2012 show definitely saw huge improvements, with ideas from the enthusiast community being taken onboard as well as some refreshing forward-thinking from the new team behind the show. Though items such as the VC-10 helped the flying display excel, some complaints from previous years did sneak through the organisers net, the positioning of metal barriers around the static aircraft being one of the key issues for many photographers. Our message to Cosford is this - a job well done, and please, keep on innovating! 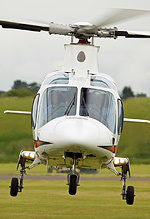 The Cosford organisers are listening and they want your feedback on this years show via our forums. Also listen to our interview with Display Director Bill Hartree & Chas McHugh in Episode 3 of 'Display Frequency', the UKAR podcast.